As chants of "Yao Ming" reverberated around the arena, China's triumphant men's team held their hands up in unison with the hoops legend to celebrate. At this Asian Games, Yao could hardly have hoped for a more emphatic endorsement of his leadership of the Chinese Basketball Association. Gold medals for China's men's and women's teams on Saturday, following victories over Iran and a Unified Korea outfit respectively, completed a stunning clean sweep of titles after a similar double in the 3x3 competitions. Since being elected as CBA chairman last year, NBA Hall of Famer Yao has rolled out a series of wide-ranging and radical reforms aimed at improving the nation's performances and results on the court. The four-goal haul in Indonesia, compared to a solitary silver at the previous Asiad, proved those measures are working. The resurgence of the men's five-a-side team was perhaps the biggest success story for Yao, whose watching brief on the sidelines for almost every Team China match in Indonesia made him appear more like a coach than an official dignitary. At the 2014 Asiad in Incheon, the men only ranked fifth, and Yao's bold move to split the squad in two－Team Red and Team Blue－in the build-up to the Games was under scrutiny. 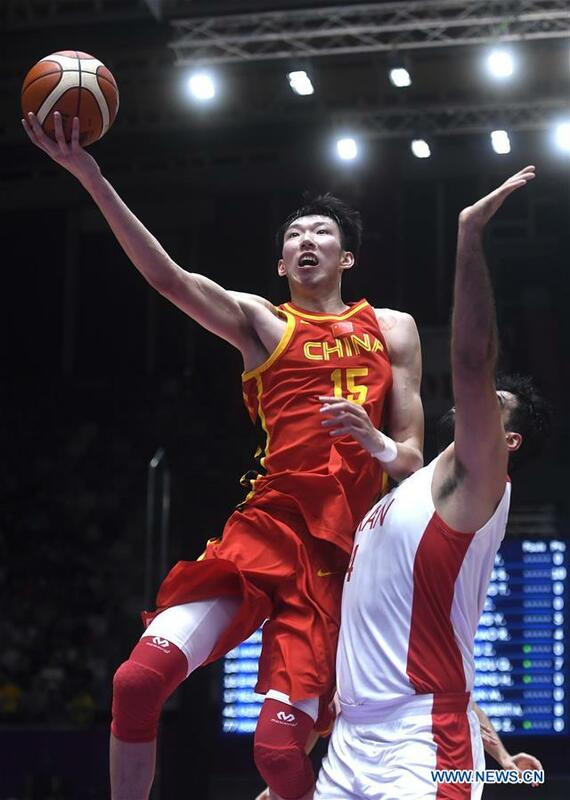 The presence of the Houston Rockets' Zhou Qi, China's only NBA player, in the squad had intensified the media glare. Team Red, including young stars like Zhou, Ding Yanyuhang and Abudushalamu Abudurexiti, was sent to do battle at the Games, with Team Blue, which featured former NBA player Yi Jianlian, staying at home. "The new model is not our aim, it's our method to make the team more competitive," said Yao. "I'd like to call the idea the 'Grand National Team', and the purpose is to increase our chances of finding more talent. "The two head coaches of the red and blue teams have already helped us to find five or six new players who were not noticed by us before. "We want players like Kobe Bryant and Stephon Marbury who can function as the core of the team. "The model of the blue and red teams is more helpful in strengthening our weak points, but a new star who can lead the charge can only emerge in real battles and competitions." Zhou certainly looked comfortable assuming that role in Indonesia. Despite a difficult rookie NBA season with Houston, the 22-year-old's experience of playing alongside the likes of James Harden and Chris Paul proved invaluable as he put the disappointment of the 2014 Asiad behind him. From the first tip-off, Zhou was in the zone－winning his personal duel with Jordan Clarkson of the Cleveland Cavaliers in China's opener against the Philippines. Zhou showed true mettle, with his 25 points, 12 rebounds and seven blocks helping his team to an 82-80 victory. "Under the eyes of billions of people, there is no doubt huge pressure," said Zhou. "For me, I just want to use my experience and advantages to help the team to have the best result. After a year in the NBA, I'm getting used to it. "Of course, there are changes in my mentality. I'm more mature in terms of skills and the understanding of tactics." Yao is well aware that greater tests await his master plan at the 2019 FIBA Basketball World Cup and 2020 Tokyo Olympics. "After the Asian Games, we will evaluate the two teams," said Yao. "In Tokyo, the minimum expectation is to advance beyond the group stage and win at least one game after that. "We have to prepare fully to make our team much stronger. Also, we have to pay attention to the development of the world's other strong teams and study them." After silver four years ago, the Chinese women's five-aside squad also returned to the top of the podium, having last been champions in 2010. "The women's team now is now very united," said Yao. "To prepare for the 2020 Olympics, we also have a lot fresh blood in our team. "Now, the physical and mental condition of the women's team is great, which is also the result of the efforts of the coaching team." Looking at the bigger picture, Yao is focused on nurturing the game in schools. "Schools will provide us with the constant flow of young talent and we have to consider how to help schools in China to find more talent," said Yao. "Actually, the very best players cannot be nurtured to greatness but are waiting to be found. Those who stand on the top not only have great skills but also big hearts, which they are born with naturally. We want our players to not only master skills but also to display strong leadership." Yao is leading by example but, typically, deflected praise onto the players. In recognition of the successes in Indonesia, the CBA published a letter of thanks to the squads online, which read: "We congratulate all four teams for these gold medals at the Asian Games. "We want to thank the players as it is your diligent training and fighting spirit in the competition that helped overcome all difficulties and secure the golds. "Our strength in basketball is a showcase of the nation's sporting power, and we know the responsibility on our shoulders. "The four golds are just a turning point on our way forward. In the future, there are more challenges waiting for us, which can be solved by the joint efforts of all the basketball people in China." China collects all four hoops golds at Asiad in resounding vindication of CBA chairman's reforms.